Oconee County Library Friends, following a record used book sale in the autumn, is preparing for its Winter Sale from Feb. 2 to Feb. 4. The Winter Sale will be held at the Watkinsville Library itself, rather than at the Civic Center, as was the case in September. That September sale brought in $17,476, up from $15,612 in 2015, according to Penny Mills, Library Friends treasurer and book sale coordinator. As a result of the strong Winter Sale and other fundraising efforts, Oconee County Library Friends donated $25,000 to the Watkinsville Library, up from $23,000 a year earlier. Mills said the February sale inventory includes a “nice, nice selection of children’s books” across all age groups. She said there also will be a good selection of history and of science fiction. The Winter Sale is from 5 to 8 p.m. on Feb. 2 and is open only to Friends members, though those who are not a member can join at the door for only $5 per person or $12.50 for a family. Sales are from 10 a.m. to 6 p.m. on Friday and from 10 a.m. to 3 p.m. on Saturday. Prices are cut in half on Saturday. Oconee County Library Friends donated $12,000 to the Watkinsville Library following $9,120 in sales at the 2016 Winter event, Mill said. The larger of the two meeting rooms at the Watkinsville Library on Experiment Station Road will display nonfiction, while the smaller will showcase the fiction. Library Friends collects books from anyone willing to donate them, and people drop off books at the Watkinsville Library year round. Library Friends sorts and boxes books throughout the year, using salvaged boxes of differing sizes. The books are stored in a building behind the library in Watkinsville. Mills said she doesn’t have a count of the number of boxes of books to be displayed for sale at next month’s event. She will be doing the count tomorrow. Last year Friends had 657 boxes with an estimated 16,425 books. Books not sold at the sale in February will be turned over to Unbound, 130 Hanover Circle, in Athens-Clarke County. Unbound sells the books both on eBay and Amazon, with a portion of the revenue going to Oconee County Library Friends. 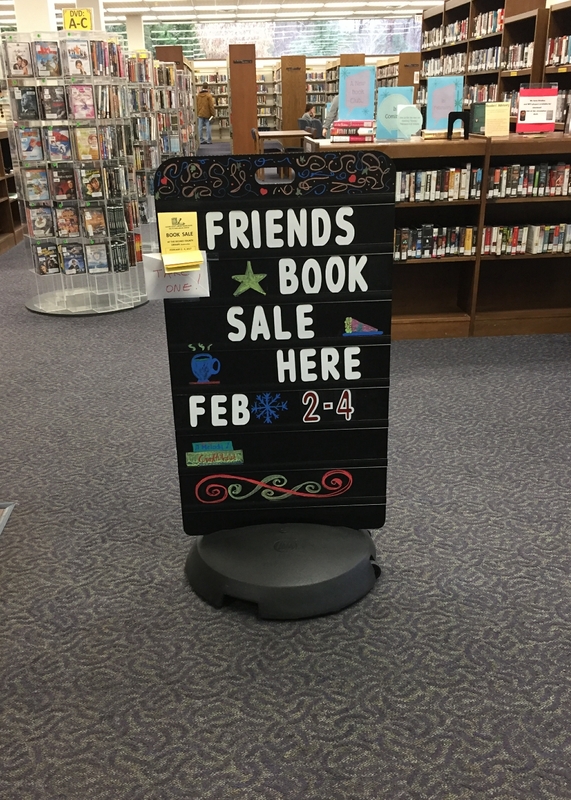 In addition to the revenue from the book sale and from online sales, Friends raises money from donations, from membership fees, and from sales throughout the year at the used book sales room at the library. Oconee County Library Friends supports the Watkinsville Library. Bogart Library has its own Friends group. Abe is at it again. Surely theres no conflict of interest. I think you intended this for the story on the restaurant. Abe Abouhamdan is chair of the county's Land Use and Transportation Planning Committee and also owns an engineering firm. In his capacity as owner of ABE Consulting, he works frequently with county staff, the Planning Commission, and the Board of Commissioners. The county does not place any restrictions on the work of its citizen committee members. The Oconee County Library Friends group, and the staff at the library are outstanding! It really is time for a bigger library. Plus, it's one of the main meeting spaces for various groups and organizations. The library is maxed out space-wise. This is one of the best services provided in Oconee County. The staff is fantastic, and the Friends group works very hard to support the library. It's easy to complain about county services, and often the complaints are warranted. But the Oconee Library is as good as it gets; thanks to all who make it that way! !